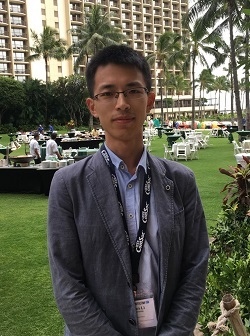 I am a Ph.D. candidate (expected to graduate in 2019) in School of Electronics Engineering and Computer Science (EECS), Peking University. Now I work in Shenzhen Key Lab of Information Theory & Future Network Archiecture. I obtained my master degree in Computer Applied Technology from School of Electronic and Computer Engineering (SECE), Peking University, in 2014. I received my B.S. degree in Software Engineering from School of Information and Software Engineering (SISE), University of Electronic Science and Technology of China, in 2011. I also worked in Huawei as a researcher in SDN/NFV for a year after my master’s degree. Now I focus on Internet Measurement, Constraint Solver and Network Security. Besides, I also pay much attention to Software Defined Networking (SDN) and Network Function Virtualization (NFV). Address: Room A218, Peking University Shenzhen Graduate School, University Town, Xili, Nanshan District, Shenzhen, China, 518055.